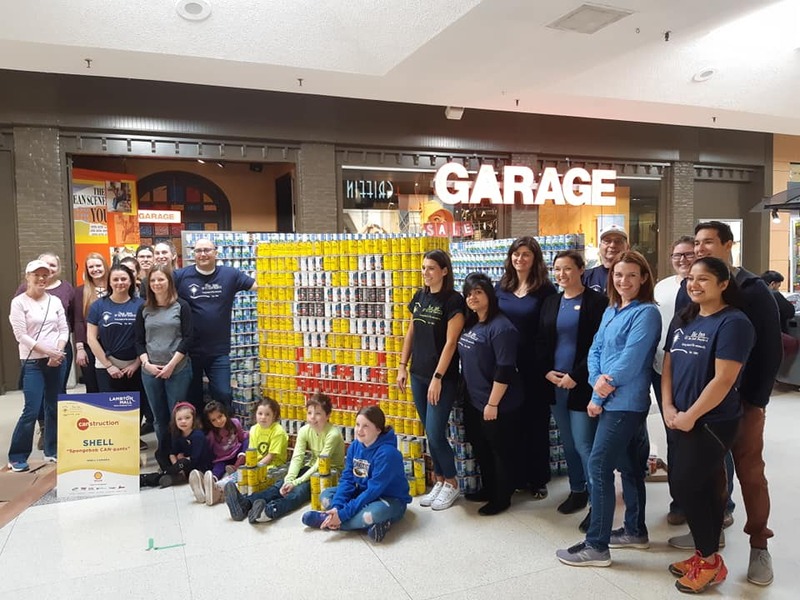 CANstruction 2019 at Lambton Mall. BlackburnNews.com photo. Awards were handed out Sunday afternoon at Lambton Mall for the eighth annual CANstruction event. 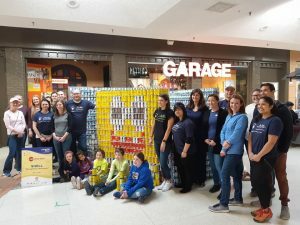 Once again this year most cans went to the Carpenter’s Union 1256 for their display of Alice in Wonderland’s “March of the Cards” using 12,864 cans. LCCVI won the Junior Award and Best Use of Labels went to Suncor. Worley Parson’s “HaCana Matata” display took the award for Structural Ingenuity and Best Use of Theme. Re/Max Sarnia won Rookie Team of the Year and Best Meal went to Podolinsky Equipment Ltd.
Judge’s Favourite went to Pembina’s “SOUPer Mario” display. This year residents can vote for the People’s Choice online at www.canstructionsarnia.com. The structure that raises the most money wins. All the cans used in this year’s CANstruction will benefit the Inn of the Good Shepherd food bank.